As workforces around the world become more mobile, accessing work emails and documents from anywhere at anytime has become the norm. With this increase in mobility, issues like security and data protection have never been more important. Mobile device management (MDM) and mobile application management (MAM) are two important areas to consider as your organisation strives to balance data and organisational security with supporting employees on the move. MDM is a type of security software that helps monitor, manage and secure employees’ mobile devices across the service providers and operating systems that are used in an organisation. MAM, on the other hand, refers to controlling access to apps used in a business setting, whether it’s on company-provided mobile devices or Bring Your Own Devices (BYOD). This allows business owners to control the data different users can access as well as what they can do with the data. What happens if an employee’s phone is exposed to a phishing scam or a virus? Or a tablet or any other BYOD were to fall victim to a malware attack? It’s cyber security threats like these that can infiltrate Internet-connected devices and lead to a major data breach. With this in mind, most enterprise mobility strategies begin with a plan to enable secure access to email for employees who have mobile devices that are connected to the internet. Many companies, especially those with a mobile workforce, use software such as Microsoft Intune to get their MDM and MAM up to scratch. For example, Accenture recently improved their user experience while keeping company-related information secure by migrating to Intune, which offers robust MDM features such as password protection and reset, and integration between tools and functions. It also offers MAM capabilities, which allows users to access the Microsoft Office suite without requiring control of the entire device. It’s easy to see why big brands such as Accenture trust Intune. The Microsoft offering ensures that a company’s data stays protected by controlling how people use it within Office and with other mobile apps. Intune can define comprehensive permissions that allow only certain people to access certain data. This access can be based on a user’s identity, which is defined by a range of specific conditions such as location, device state, app sensitivity and real-time risk. Intune also enables secure access to mobile apps that require on-premises data by ensuring that no mobile app can access company email accounts until that device is enrolled with Intune. With Intune, it’s possible to limit email access to devices that are managed by your organisation. By gatekeeping employee access, you limit the risk of accidentally leaving corporate data on an unsecure computer. Many companies use MDM and MAM to apply flexible mobile device and app management controls that benefit both employer and employee: Employers can be assured that their company information is protected while employees get to work with the devices and apps of their choice. 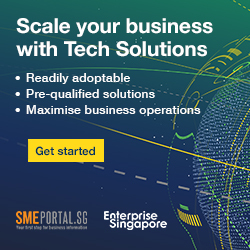 Singtel is helping customers to bridge the gap between their organisation’s existing security measures and industry standards by conducting a number of customer workshops. For more information on implementing the technical solutions required to keep your business safe, click here.